Last year, Crash Bandicoot got a trilogy of remasters, bringing back three classics to modern platforms. 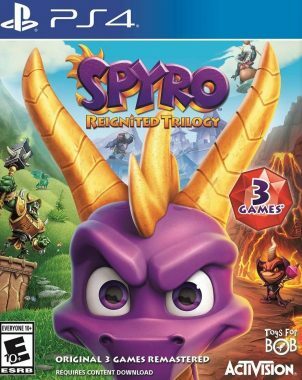 Of course the collection was successful, which meant that it was only a matter of time before Spyro got the same treatment. Spyro Reignited Trilogy brings the young dragon back without gimmicks or toys, where he can take back his spotlight and shine for a new generation. Does Spyro still have the same magic as other classics that have emerged over the years, or should this flame be extinguished? Let’s find out. The plots to all the Spyro titles are kind of built like a Saturday morning cartoon. The first and original title sees Spyro trying to save the world from a threat by the name of Gnasty Gnorc, who has encased the rest of the species in crystal. In the second, we see Spyro aiming to save the realm of Avalar from a new enemy by the name of Ripto, who is an all-powerful warlock. Year of the Dragon finalized the lot, with a Sorceress stealing Dragon Eggs so she can find eternal youth by the magical wings of each specimen. Sure, there are a good amount of details for each, but generally – it is important to know that Sypro is a light-hearted adventure no matter which title you play, featuring an over-the-top cast of characters that have maintained their charm all these years later. Unlike a lot of titles that flooded the market when the whole 3D adventure was starting to take over during the time, Spyro was always able to stay centered, with strong writing and sharp pacing that creates a ton of incentive to keep going until the end of each title. Every Spyro title are generally adventure games that focus on exploration and puzzle solving. The first title focuses mainly on rescuing dragons, defeating foes and bosses alike, and obtaining collectibles. Ripto’s Rage features a larger world with a heavier emphasis on puzzles and bosses, but now Spyro has new techniques such as swimming and a head bash that make the experience feel fresh and inventive. 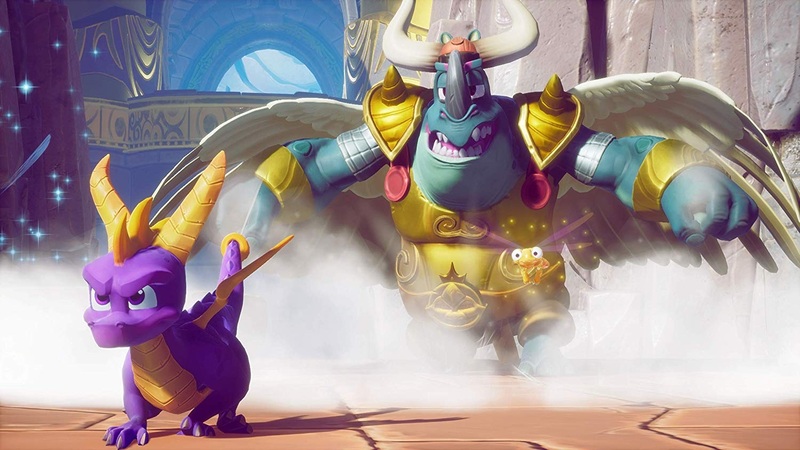 Year of the Dragon’s big gimmick is the ability to take control of Spyro’s allies for the adventure, which also allows you to play with their techniques – which all come into play in rather intuitive ways. Spyro himself has the ability to glide and “fly” in portions, and while platforming is certainly not the theme that follows the gameplay, the requirement for movement precision is heightened in segments such as races and boss fights, which are mostly brilliant in their own right. I guess the question to most would be “have these titles held up?”, and the answer is yes. When I first started playing Spyro’s first romp, I was actually a bit disappointed of how fast I was moving through the game. It was as if the adventure was so streamlined and light on challenge that I was just running from statue to statue, with not a lot of substance in-between. My perspective however changed a good bit when I decided to approach the title as a collectathon, rather than a challenging title from the past- as Spyro’s meat generally is found in collecting everything in the game’s world. All three titles have that same essence overall. Sure, there is more challenge from enemies and puzzles in the second and third titles, but the true fun of the game is mainly found in obtaining a sense of completion. Some remasters come with a lot of hiccups and frustrations, but I really didn’t experience anything that hindered gameplay. Sure, there are minor frustrations, but those frustrations were usually user error due to minor gameplay pacing issues that have been around since the Playstation One. Spyro was never thought of as a perfect game franchise. It is known for being fun, accessible, and relaxing, and this ground-up remaster of each telling do the originals justice by keeping that same feel. As a kid, I was more of a Rare kid and went for the platformer fare on the Nintendo 64, so some of these were new to me overall. I can easily say that I see why there was demand with this trilogy and it is great to see Toys for Bob bring us such a delight all of these years later, when honestly, they could have simply offered a port with lesser polish and still get a good reaction. This is definitely one of the better remasters of this generation, as while there is no modernization of gameplay, the refinement goes a long way to preserve the already stellar quality within each title. The most important part of this remaster is of course the visuals. 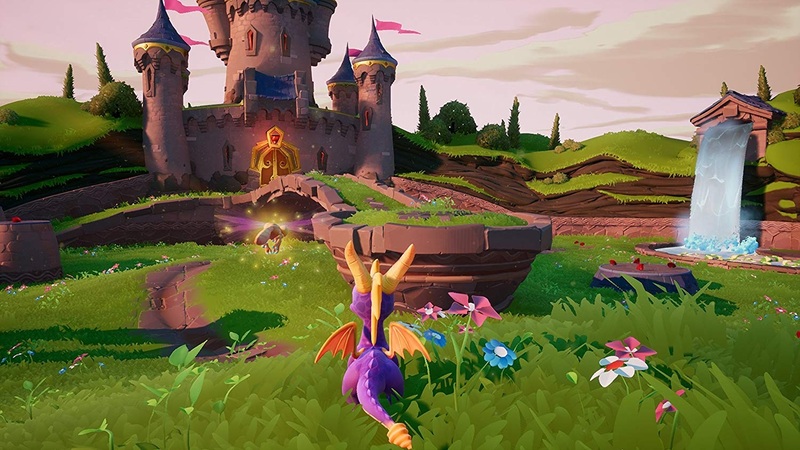 Personally, I think Spyro is one of the only franchises on the original Playstation that still looks clean and does not come off as overly blocky or pixelated. This trilogy already set a bar years ago, and this remaster sets another one as it looks fantastic. The world looks incredible with new details making the already bright colors pop. Characters have been re-designed and are more emotive than ever. Toys for Bob were able to take these three titles and add so much polish with a coat of sheen that makes each experience visually appetizing for each area of every game included. 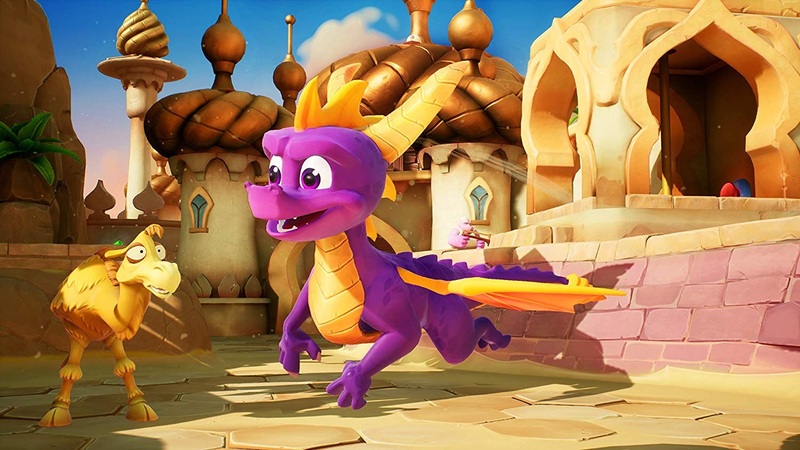 The animations are also wonderfully done, as everything is fluid, giving the player a true sense of freedom as they fly as Spyro and a sense of satisfaction as fire scorches the earth below. The music has been remformatted for all three titles, featuring all of your favorite tracks that have been updated. Those sound great, but hearing Tom Kenny’s new re-recorded lines for all three titles bring new life into the experience, as it seems like he had a blast with these performances, as do all of the other returning and new talent who have joined in. 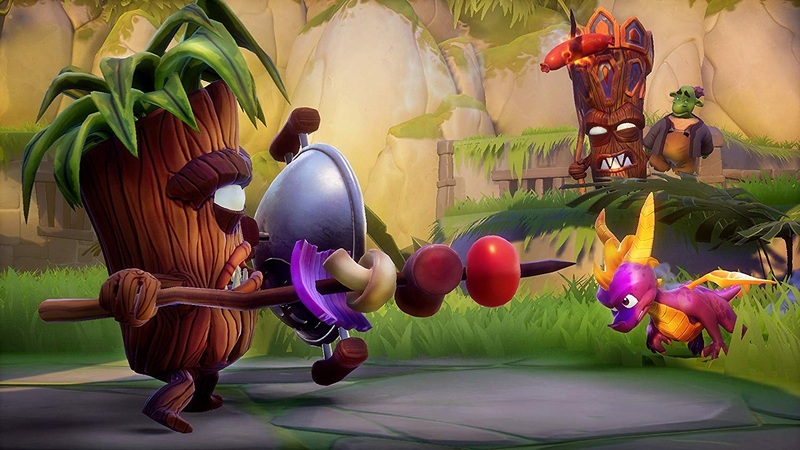 A lot of production and care obviously went into the Reignited Trilogy, and while there are certainly minor changes in some areas, I don’t think any of these three titles have a “Conker” moment, where gamers will feel that they are missing an important piece that they can only find in the originals, and that is definitely something to brag about. Spyro Reignited Trilogy is one of the finest remasters to hit in a while, as it is a ground-up labor of love with attention shown to nearly every detail. 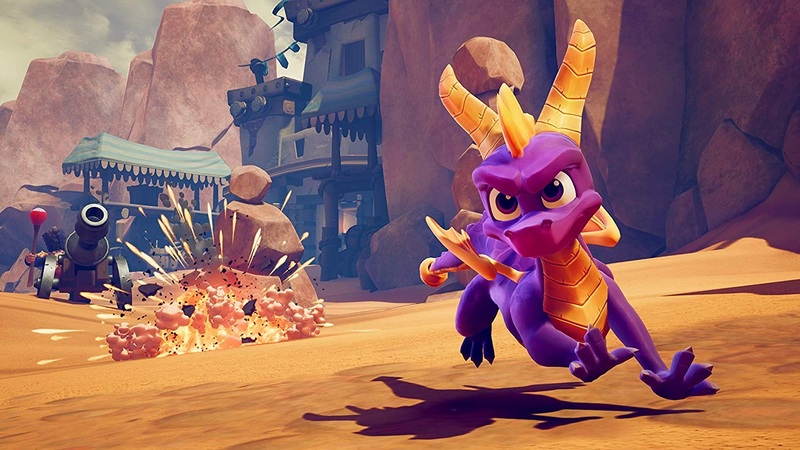 Sure, Spyro’s name has not been absent during the past decade due to Skylanders and other nods, but the warm feelings of nostalgia have been gone, as nothing has been able to come close to any of these titles outside of this recreation. It will always be debated if a title like this is the perfect preservation, but as a product on its own, this is a fantastic collection that manages to hit all the right notes and bring an old hero back into the limelight. Spyro’s future may still be unknown, but his legacy has been reignited due to three games that still manage to be a lot of fun to play. Spyro returns to Playstation to show us why he was never forgotten.